A little while ago, I became aware of an organization called Enabling the Future. 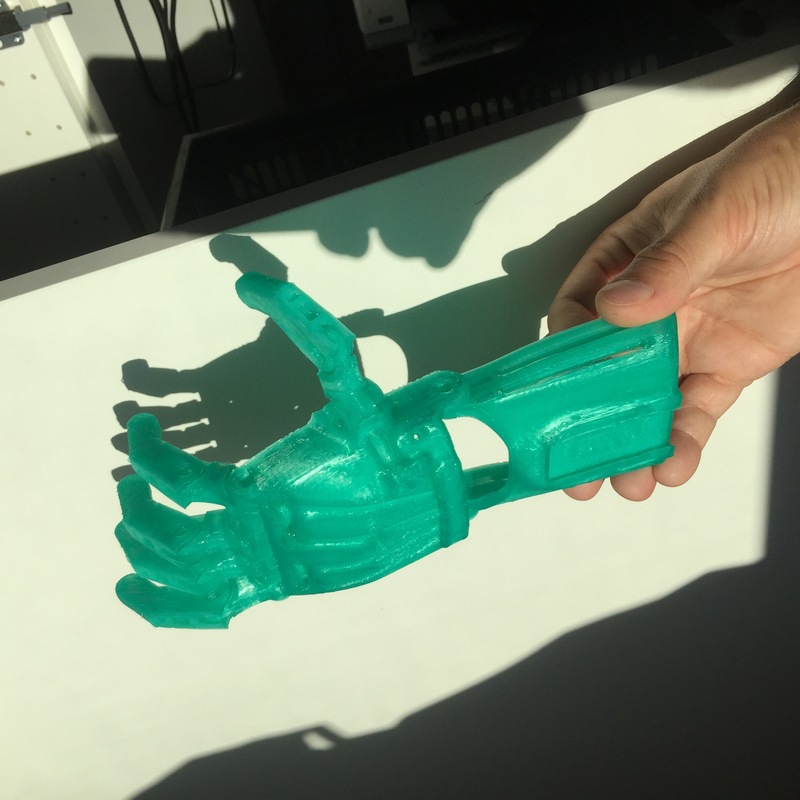 They focus on bringing 3D printed prosthetics to children in need of a prosthetic hand at a fraction of what this would normal cost. The hands are simple, but allow for someone without fingers to grab something with the prosthetic hand by simply bending the wrist! As soon as I found out about this, I immediately signed up and started printing a hand within a few days. This is what it looked like on the print plate.. granted not much at that point, but when the pieces were assembled together, you could really see the shape and how it was supposed to work. Ingenious stuff, and since I’ve signed up, I am awaiting my first assignment to provide a hand for a specific kid, measured to fit on this kids hand…. Amazing. It only takes a couple of hours, but can make a huge difference in someones life to print one of these. If you have a 3D printer, I would suggest you sign up as well!